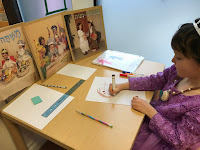 as we eagerly awaited the exciting day. 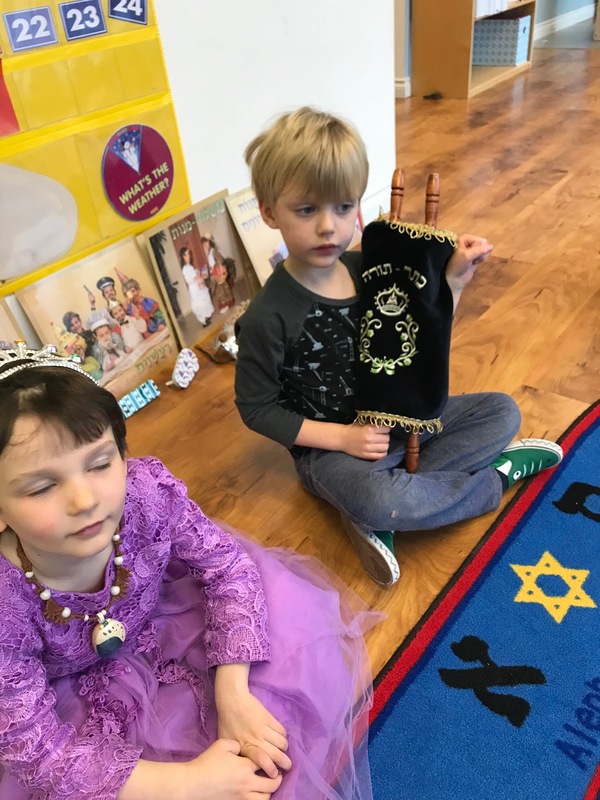 We know that the story of Esther is written on a scroll. 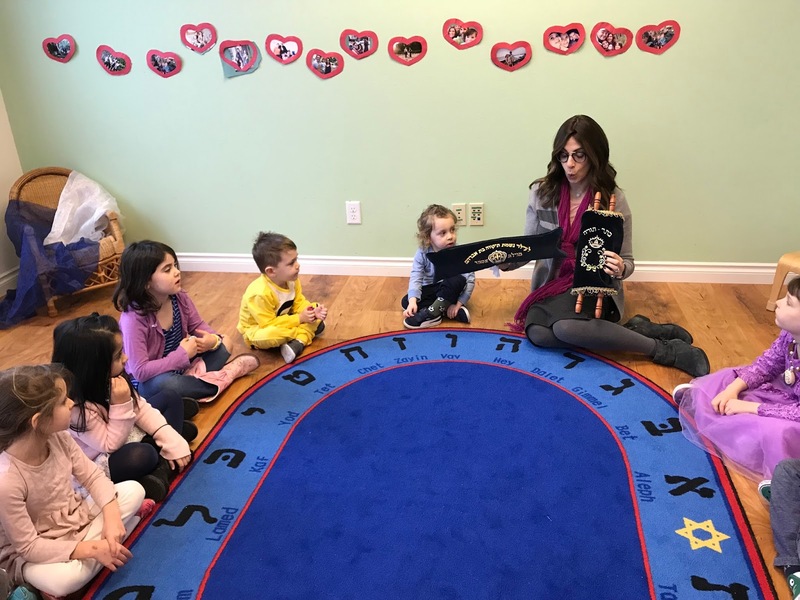 Rabbi Greenberg joined us at story time and read to us from the Megillah. It was so fun to hear some of the story and to use our graggers. 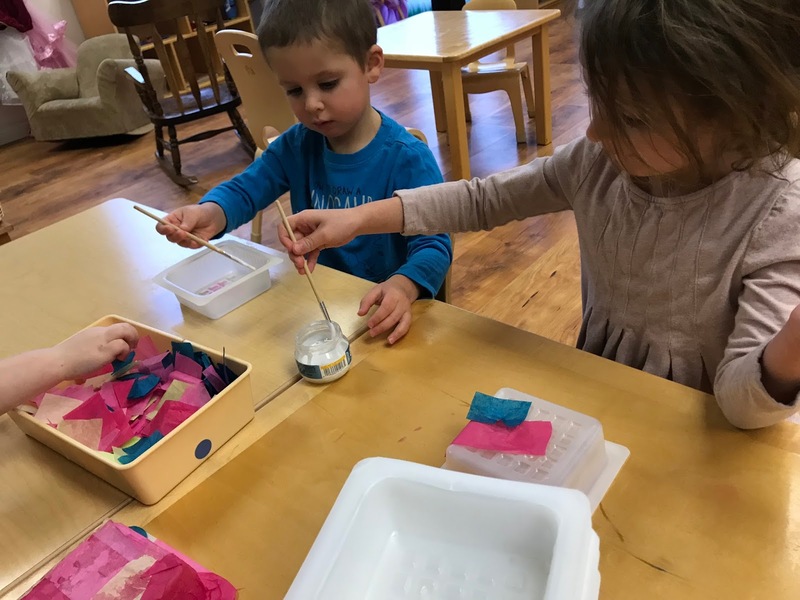 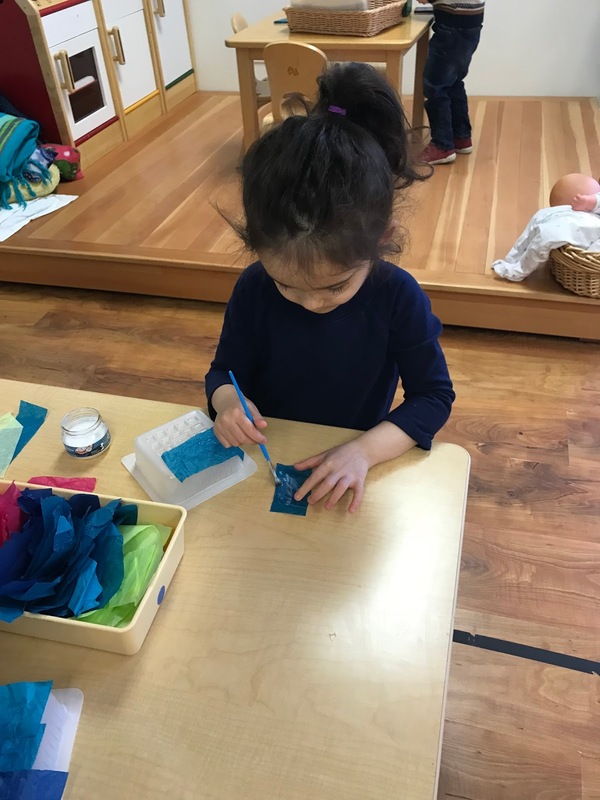 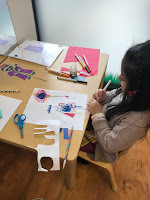 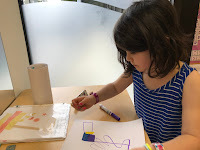 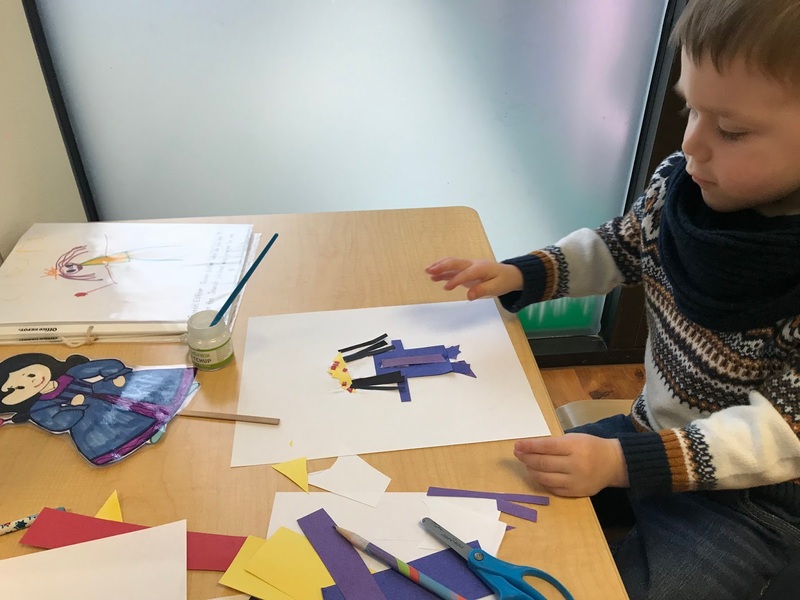 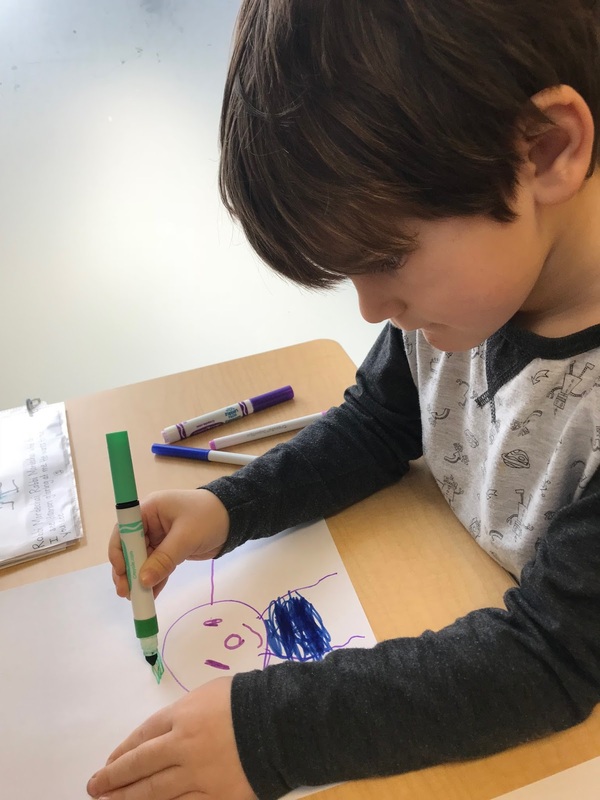 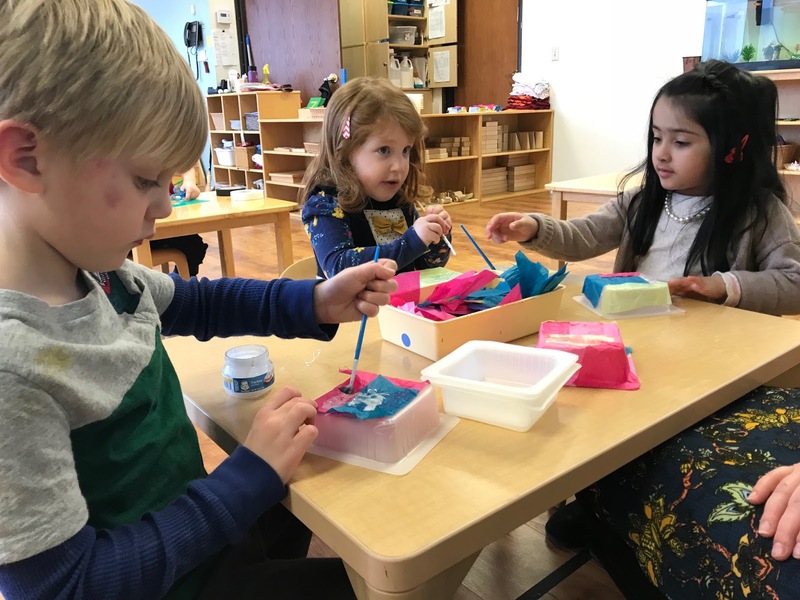 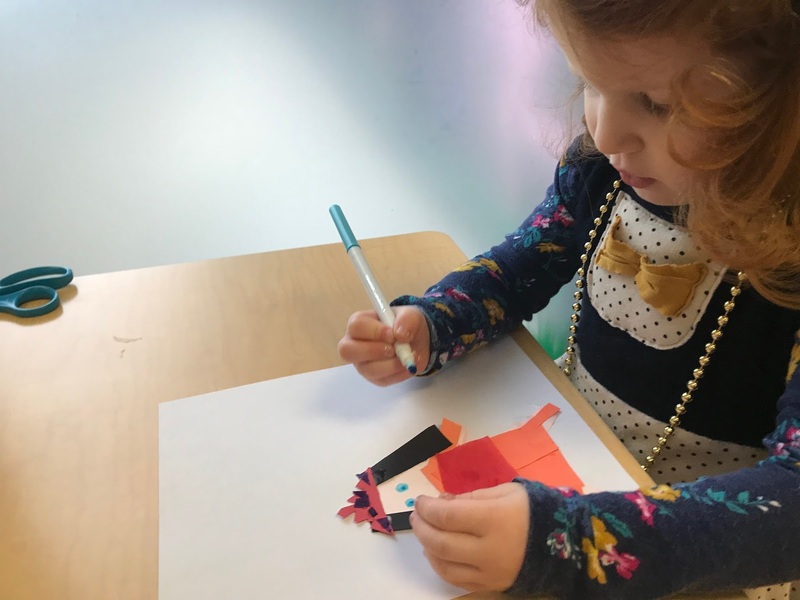 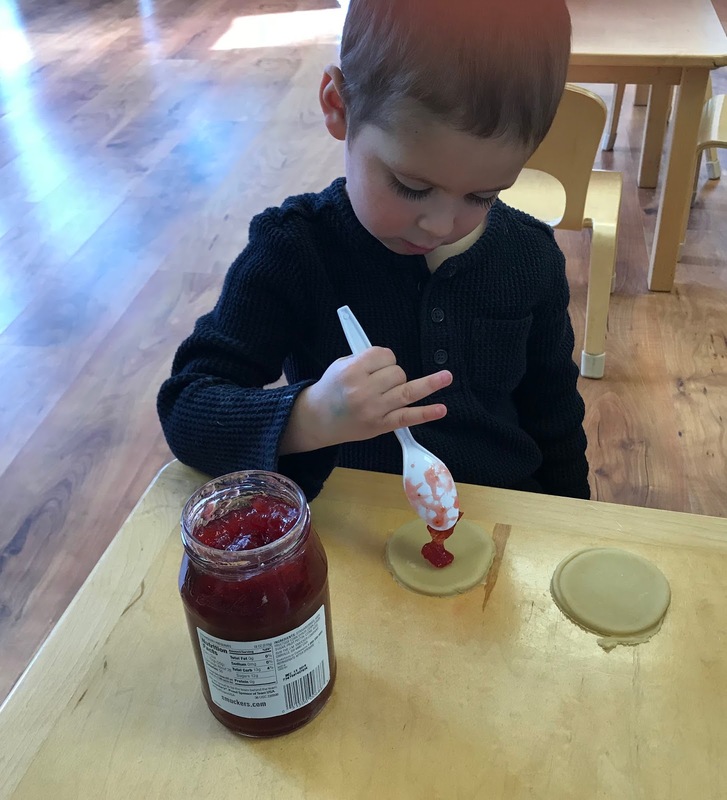 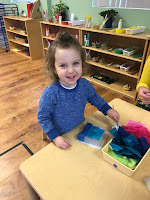 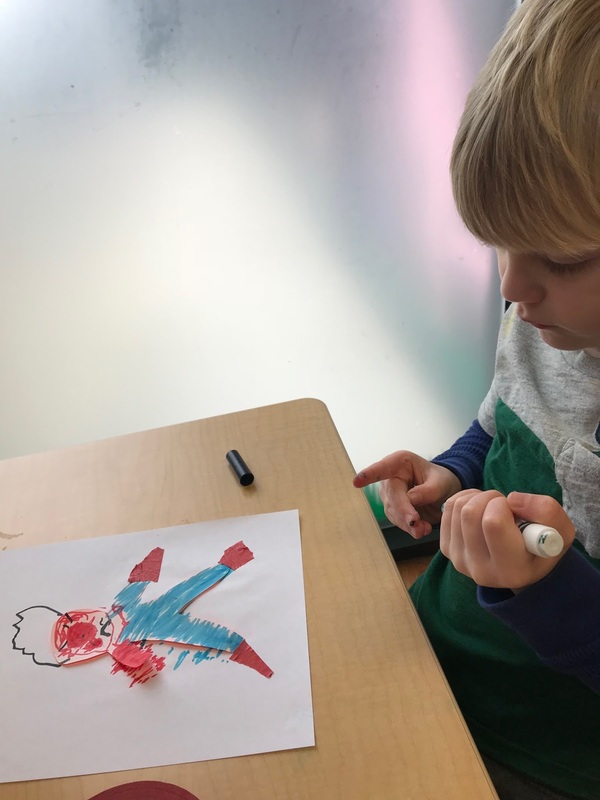 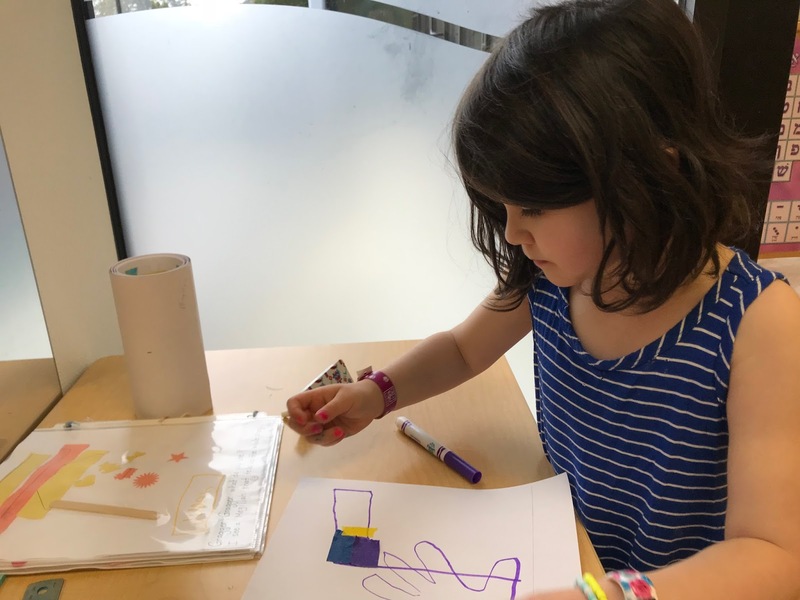 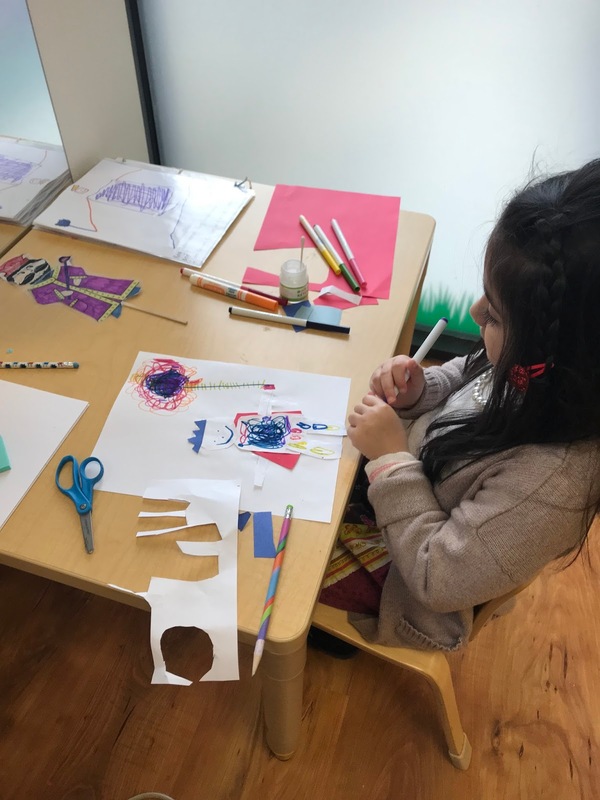 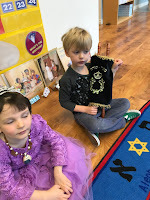 We were inspired to make our own preschool megillah. 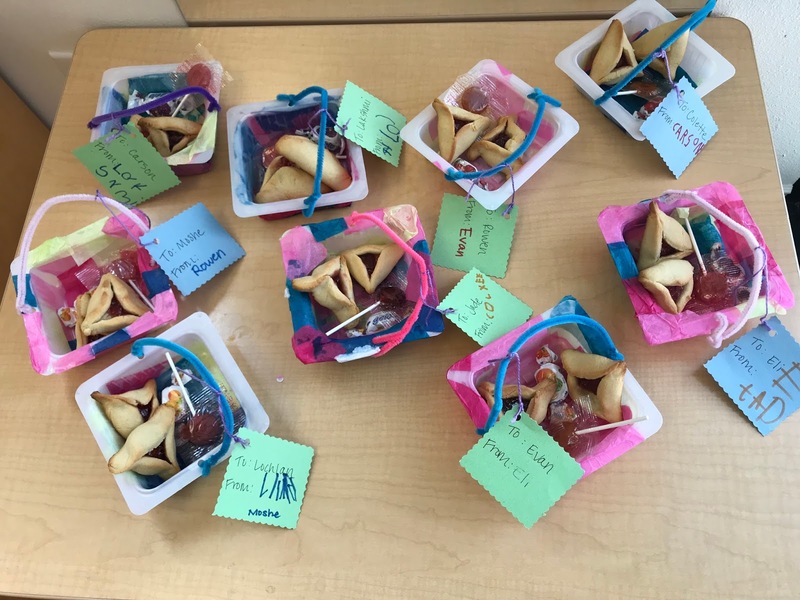 A Purim mitzvah is to give mishloach manos, gifts of food for friends. We began preparing for this mitzvah early in the week. 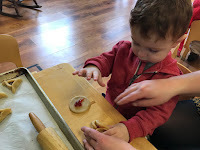 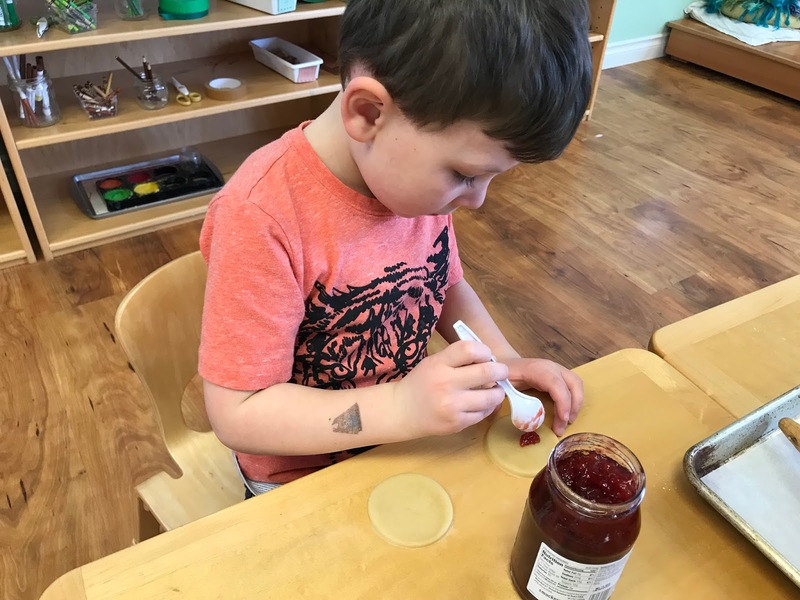 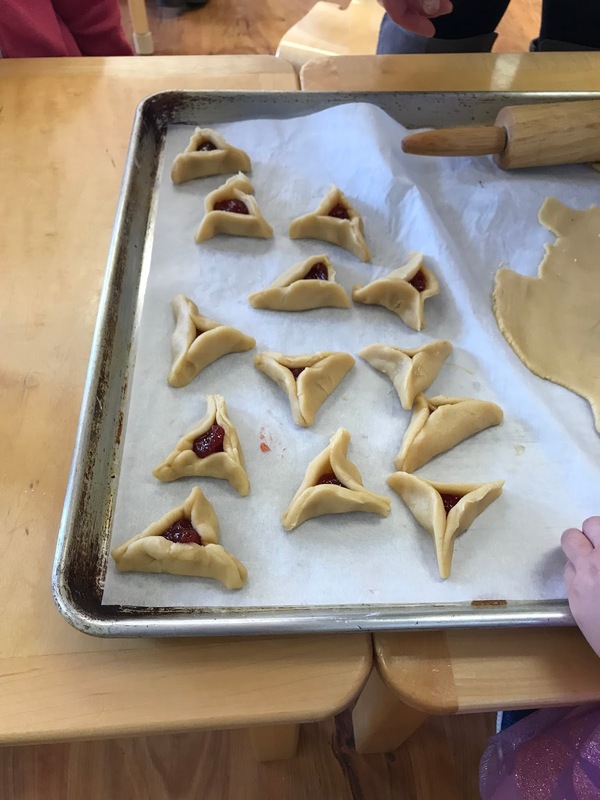 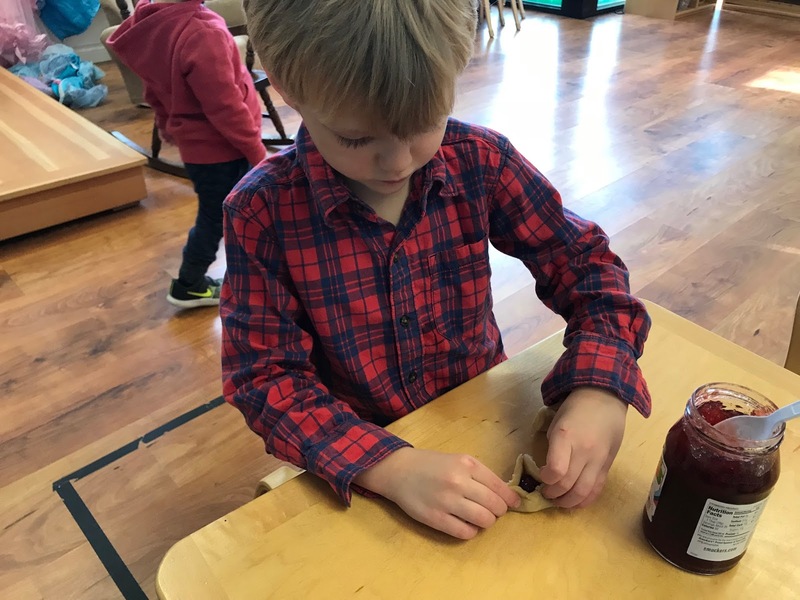 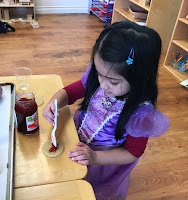 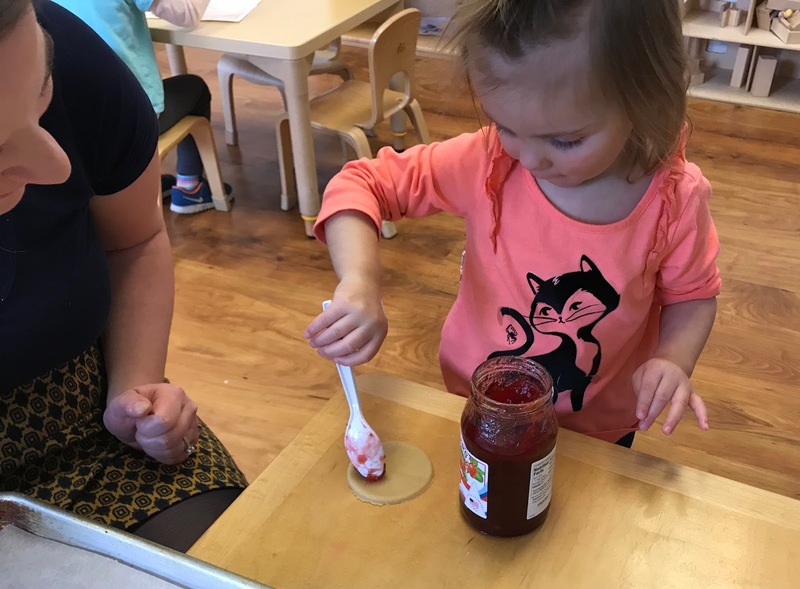 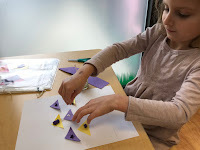 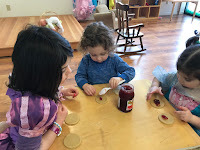 On Purim day we baked hamantashen for our mishloach manos. 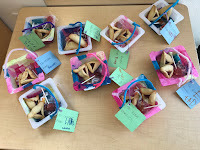 We filled our baskets with our homemade hamantashen and sweet candy treats. 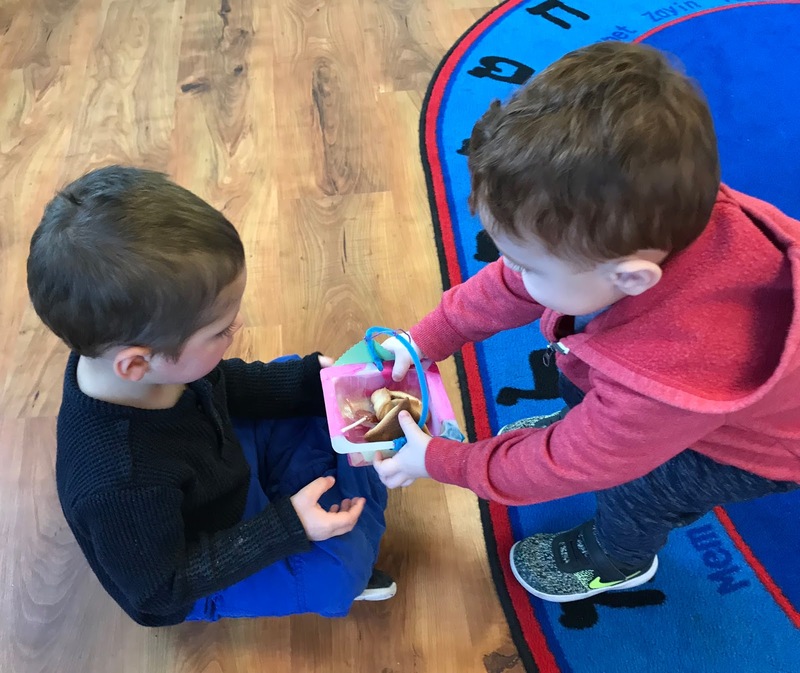 It was time to share our mishloach manos. 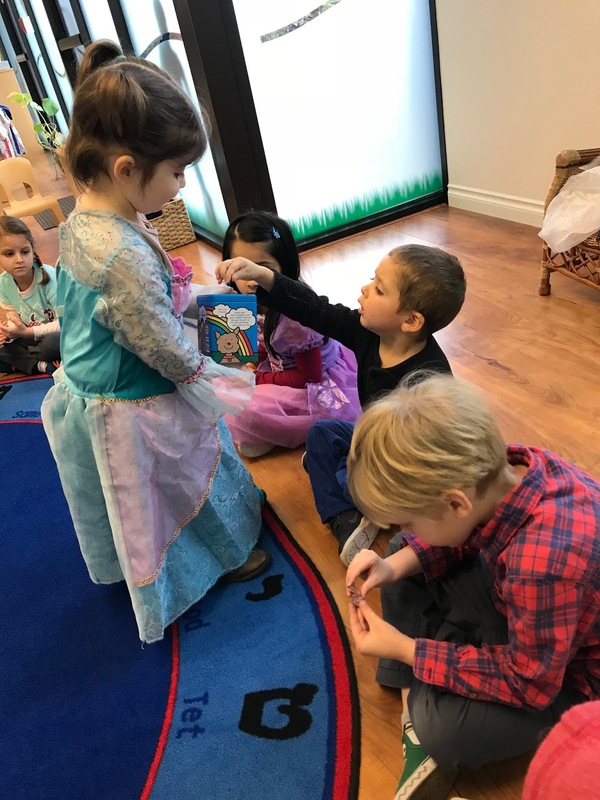 Sharing extra tzedakah on Purim is a holiday mitzvah. 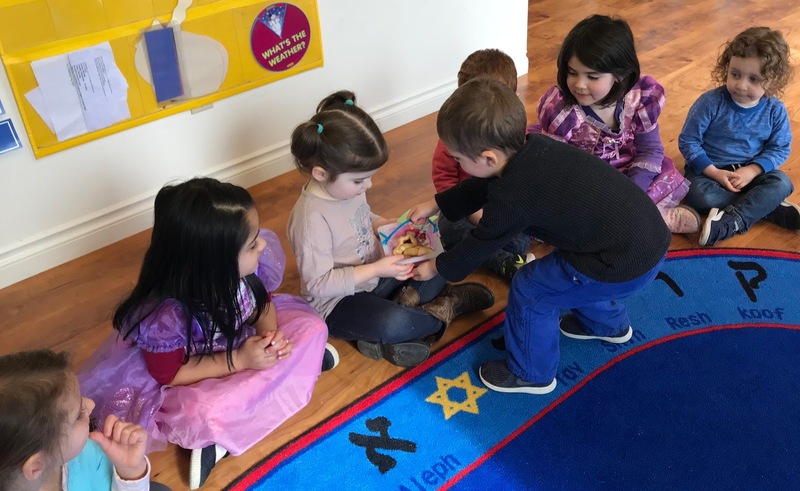 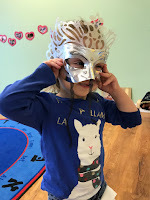 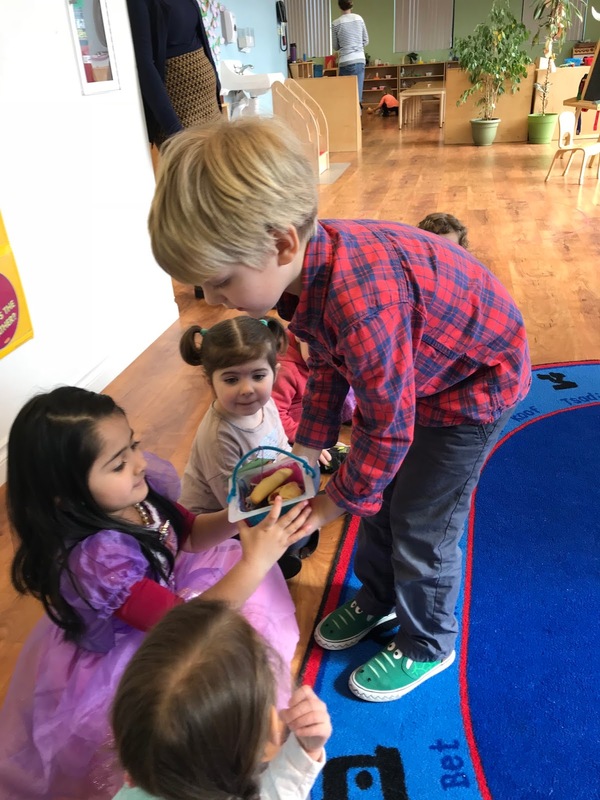 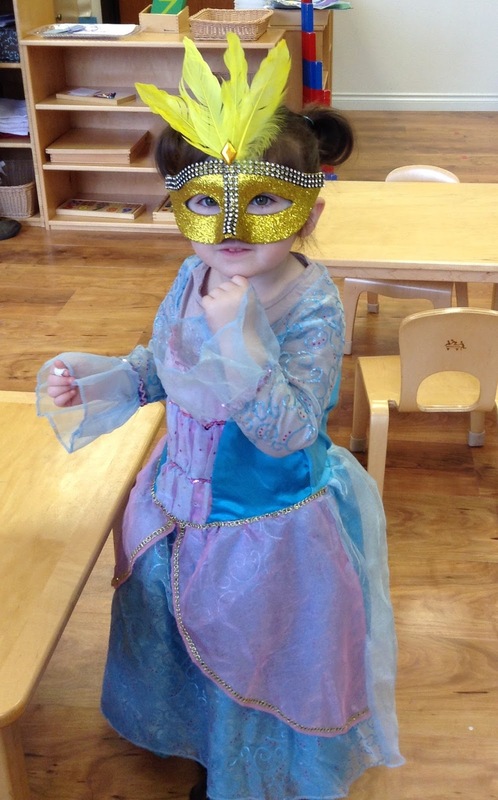 We made sure to share extra tzedakah Thursday as we began our Purim day!